Royal Teeth are also no strangers to success. Their 2012 debut EP Act Naturally and their first LP, Glow, in 2013 spawned the hit single “Wild” , followed by their 2016 EP Amateurs. They’ve turned heads at major tastemakers including Consequence of Sound and MTV and have been featured in SiriusXM Alt Nation’s Advanced Placement, as well as appearing on Last Call With Carson Daly and American Idol. They’ve played major festivals such as Austin City Limits, JazzFest, Bonnaroo, and Firefly; and racked in nearly 15 million streams on Spotify to date. Over the course of the last six years, they’ve supported acts such as The Wombats, Fitz and the Tantrums, The Mowgli’s, and ended their last national tour in 2016 supporting Rooney. Hope can be found through struggle on their sophomore album because Royal Teeth’s message is quite clear: they are never gonna quit. The band will be on tour during the second half of 2018, and the first single, “Never Gonna Quit,” is available now to stream or download online. Jul 27 2018 ROYAL TEETH RETURN WITH NEW SINGLE "NEVER GONNA QUIT"
July 27, 2018 – Royal Teeth have announced their return with the anthemic new single “Never Gonna Quit” along with an accompanying music video that features Valerie Sassyfrass of the viral sensation “Girl’s Night Out” performance showcased previously on Ellen (as seen on TV here). The band has also shared that fans can expect touring later in 2018 and more music leading up to a new album from the band. The forthcoming record marks Royal Teeth’s long overdue comeback to indie rock, with a progression in their sound that exudes energy and conviction. Taking it back to 2013, their bubbly hit single “Wild” was riding alternative radio waves across the nation and getting tons of clicks with their slow-burning, electrified music video. Now,five years later, things have changed for the band – everyone has situated into lifestyles and careers outside of the music industry. Recently though, a spark of inspiration caused grounds for discussion of a Royal Teeth comeback – and the whole band is on board. “There were days where I just accepted that this was probably going to be over soon,” vocalist Gary Larsen recalls. “Something finally switched inside of me. I decided that if we are going down, then we are going down swinging.” Feeling inspired to create new songs with a new fresh sound, the quartet whole-heartedly decided it was worth banding together for this project. “Never Gonna Quit”, which premiered via Baeble yesterday, is the trademark motto for the band. Royal Teeth is composed of singer and guitarist Gary Larsen, singer Nora Patterson, guitarist Thomas Onebane, and drummer Josh Hefner. For more information visitroyalteethmusic.com. 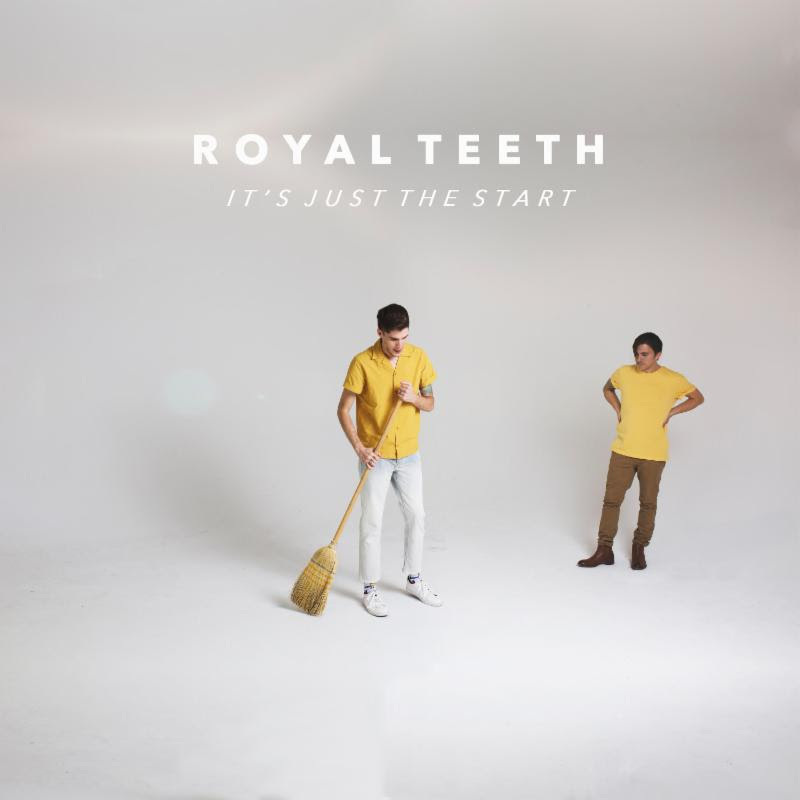 Sep 14 2018 Royal Teeth Amp Things Up w/ "It's Just The Start"
September 14, 2018 – Royal Teeth share their newest track “It’s Just The Start” today, following the heart-pounding comeback single “Never Gonna Quit” that “radiates resilience and perseverance” (Atwood Magazine) and featured Ellen DeGeneres’ favorite viral sensation, fellow Louisiana resident Valerie Sassyfrass, in the music video. Now “It’s Just The Start” really kicks things off for RoyalTeeth in a way that builds vulnerability into unstoppable confidence. Royal teeth are currently on tour with Vinyl Theatre and the two recent singles have left fans rallying for more and thus, the band has promised that fans can expect more touring this year, along with a new album sooner than later. The forthcoming record will mark Royal Teeth‘s long overdue comeback to indie rock, with a progression in their sound that exudes energy and conviction. Taking it back to 2013, their bubbly hit single “Wild” was riding alternative radio waves across the nation and getting tons of clicks with their slow-burning, electrified music video. Now, five years later, things have changed for the band – everyone has situated into lifestyles and careers outside of the music industry. Recently though, a spark of inspiration caused grounds for discussion of a Royal Teeth comeback – and the whole band is on board. “There were days where I just accepted that this was probably going to be over soon,” Larsen recalls. “Something finally switched inside of me. I decided that if we are going down, then we are going down swinging.” Feeling inspired to create new songs with a new fresh sound, the quartet whole-heartedly decided it was worth banding together for this project. Royal Teeth is composed of singer and guitarist Gary Larsen, singer Nora Patterson, guitarist Thomas Onebane, and drummer Josh Hefner. For more information visit royalteethmusic.com. 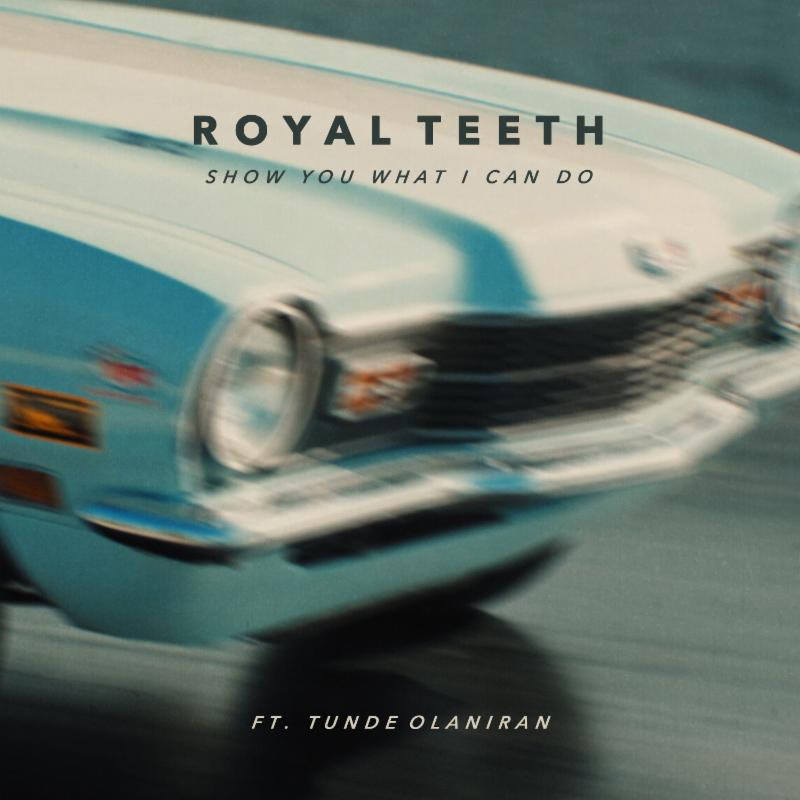 Now, following a succession of select radio shows and festivals across the US, Royal Teeth return with their latest single “Show You What I Can Do“, featuring the sensational NPR darling Tunde Olaniran, a Flint-native who brings his signature flavor to the song. “Show You What I Can Do” comes with a badass music video filmed at Music City Raceway in Nashville. In the video, singer Nora Patterson owns the raceway in her feminine glory as the male bandmates cheer her on from the sidelines. With “Show You What I Can Do”, Royal Teeth continue to break boundaries in their genre and are always evolving to offer audiences a fresh, new sound. Fans can anticipate the full-length album dropping later this year. In the meantime, Royal Teeth can be seen on the road supporting the new music at School Night @ Bardot in Los Angeles next week on February 25, then French Quarter and the Jazz & Heritage festivals in New Orleans in April. Royal Teeth is composed of singer and guitarist Gary Larsen, singer Nora Patterson, guitarist Thomas Onebane, and drummer Josh Hefner. 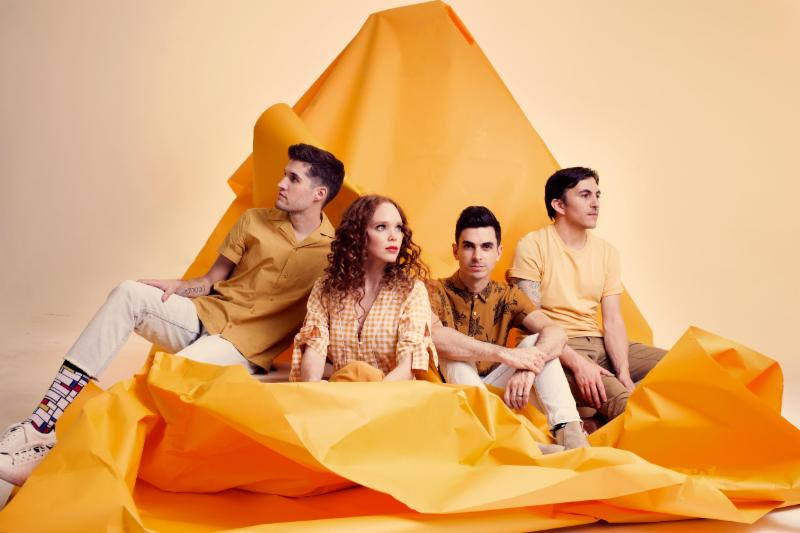 For more information visit royalteethmusic.com and follow the band on social media.